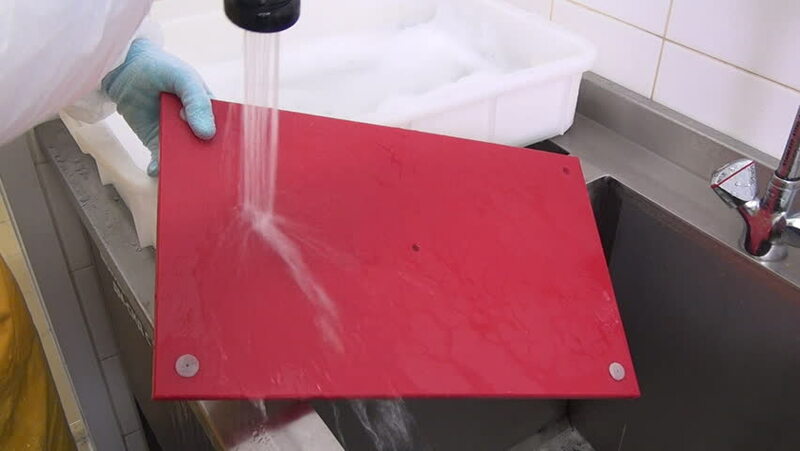 hd00:17Cleaning colorful plastic cutting board from remnants of food. Application of disinfectant solution. Washing of premises and equipment in food industry, supermarkets, warehouses and similar places. hd00:07Pink tank top and skirt. Pink garments on white floor. Bright outfit for teenage girls. Skirt with top on sale.